When it comes to keeping your caravan in tip-top condition, one of the most satisfying ways to make a difference is with a good old clean. Cleaning your static caravan needn’t be an arduous task, such is the range of cleaning products available, and if you keep on top of the small jobs, it will take no time at all to ensure your caravan always looks in mint condition. One of the most important things to remember is that when you clean as you go, you won’t be looking at your messy caravan like an insurmountable mountain. Having good quality storage boxes will help you keep it tidy and there is a range of storage solutions for cupboards and drawers that work just as well in caravans as they do at home. Wiping down tables should be done after each meal, and while you’ve got the cloth out, why not wipe one extra surface such as the TV table, dresser, or windowsill. Alternating between these each time will ensure that you’re never missing anything out and you’ll be surprised at the difference this makes. Alternatively, set a day and do all of the surfaces in one day. The choice is yours. Washing the pots is another thing to do as soon as you can after a meal. As caravans only have small kitchens, it can really look cluttered when you have a sink full of dirty points, so you should certainly try and keep on top of this. Depending on how much time you spend inside your caravan, you may only need to vacuum your carpets weekly, although some people, particularly with kids or pets prefer to do this more often. Dusting is best done weekly too, as a build-up of dust can irritate the nasal passages and exacerbate any allergies. Similarly, your bathroom needs a good weekly clean, just like in your house. Depending on how “van proud” you are, you may wish to do this fortnightly but again this depends on how much you use your caravan. Working your way down the caravan washing the windows, any decking and the outside of your caravan will make sure that it always looks well kept, and due to the fact that many caravans sit in rural areas, there’s a good chance that leaving it any longer than this will leave your caravan grimy looking. Go to any supermarket and find an abundance of cleaning supplies, depending on your favourite brand, if you are using ecologically friendly products, or are maybe budget conscious; choose your products but ensure you have at the minimum, several micro-fibre cloths and a good all-purpose cleaner. Dust and vacuum each room, paying attention to the edges near to skirting boards. Ensure that air vents are unblocked and free from cobwebs and dust; open the windows and air the caravan thoroughly. Use an extendable duster to remove dust from the ceiling and light fittings. Check for any damp areas, especially inside wardrobes and cupboards where the air cannot move freely. Clean bathrooms and tiled areas with an all-purpose cleaner. Use glass cleaner or a microfiber glass cloth to clean the windows and mirrors. Remove all bedding, vacuum mattress on both sides and leave to air in a room with open windows. Clean out any leaves and debris from the gutters. Wash the outside walls of your static caravan with plenty of soapy water, a decent sponge and plenty of elbow grease to remove the tree sap, bird lime and insect stains that have built up on the exterior. Wipe down the UPVC door and window frames with a proprietary cleaner and polish the windows as previously mentioned. Any decking and footpaths can be pressure-washed, along with your garden furniture. The tradition of Spring cleaning lets us get a head start on the busy seasons of Spring and Summer, and to freshen up our static caravans. 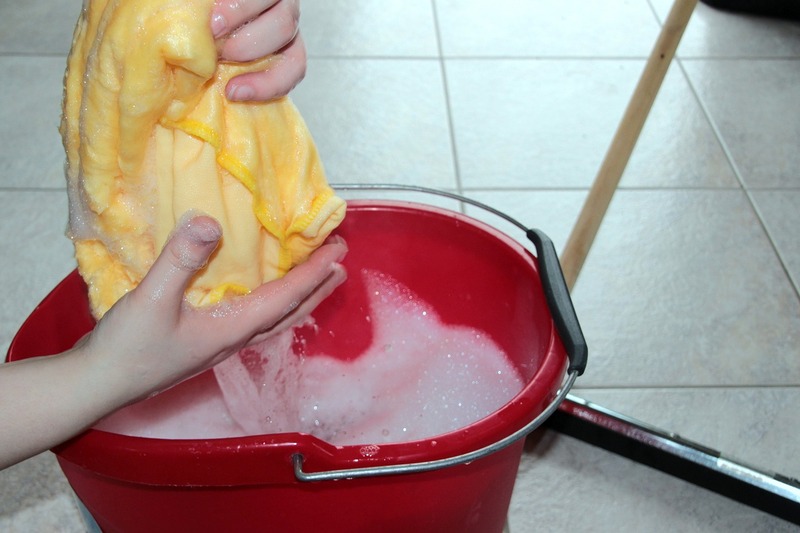 If you need some help with your cleaning activities, make a plan to get your family involved, when even the most reluctant helper may make a huge difference to your workload. Try suggesting a reward or a family day out, or put on some music and get everyone dancing as they clean and tidy. Some of the Caravan Parks we have here in North Wales offers a Spring-cleaning service for both inside and outside of your static caravan; call into our office and we can offer advice on services available. All in all, there are many different ways of cleaning your static caravan, and you are best off writing a list of how often you think things need doing, then constructing your own cleaning schedule. Of course, you’ll have to perform cleans more often when you sublet your caravan, and many people can find this gets a bit too much, so some owners hire a cleaning firm to come in and go over the caravan between guests. There is a myriad of different firms available, some of who offer a deep clean of carpets, curtains and seating areas too, so it may well be worth you looking into this if you want to relax in your caravan and leave the cleaning to someone else!